This investment carries considerable risks and may lead to a loss of the entire assets invested. Projected returns cannot be guaranteed and may be lower than expected. “ Ich mache mir Sorgen über die zunehmende Erfassung biometrischer Merkmale. Ich mache mir noch mehr Sorgen darüber, wie wohl die geplante Facebook-App aussehen wird, und was für Möglichkeiten sich daraus ergeben. “ Generell eine echt gute Idee. Hoffe dass es funktioniert. Vielleicht wäre zudem die Möglichkeit digitale Abzüge kostenlos mit Firmenlogo als Wasserzeichen anzubieten eine Idee, bspw. für Profilfotos auf Websites wie dieser hier. Generell denke ich, dass man neuen Kunden bei dieser Idee den Einstieg so einfach wie möglich machen sollte. Ach ja, eure Website scheint etwas überlastet zu sein? Ein Wechsel zwischen den Schablonen dauert ewig...? Investments in startups and growth companies offer great opportunities, but they are risk investments. In the worst case, the entire investment amount may be lost. Consequently, investments in startups or growth companies are unsuitable for retirement plans. However, there is no obligation to make further contributions. Investors can minimize their risk by diversifying the amount they invest in startups and growth companies and not investing the entire amount in one startup or growth company. Professional investors often follow this strategy because it causes the risk to be distributed among several investments. In this way, successful investments can balance other less successful investments. The shares of the investors on Companisto are subordinated profit-participating loans (partiarische Nachrangdarlehen). Such loans are shares in a business with similar characteristics as equity. If the company becomes insolvent or is liquidated, the claims of the investors (Companists) – just like those of all other shareholders of the company – will be satisfied from the assets in the insolvency or the assets in liquidation only after the claims of all other external creditors have been satisfied. Thus, Companists are treated like any other shareholder of the company during insolvency or liquidation proceedings. The company information published on the Companisto website is provided solely by the companies. The projections made by the companies do not guarantee successful development of the company in the future. Consequently, investments in startups and growth companies are suitable only for those investors who can cope with the risk of a total loss of the capital invested. Investors make their own independent investment decisions and bear all risks themselves. The investments are provided and issued by the individual companies. Companisto is neither the provider nor the issuer of the investments, but solely the internet service platform. The acquisition of this asset involves considerable risks and can lead to the complete loss of the assets used. The expected yield is not guaranteed and may turn out to be lower. Mo-Fr 9 a.m. - 7 p.m.
We are available Monday through Friday between 9 a.m. – 7 p.m. 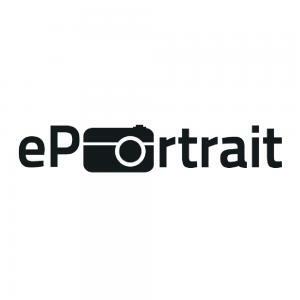 Please register in order to see the complete profile of ePortrait. Registration is free of charge, quick, and simple. Please confirm your email address. We have sent you an email to . Please click on the activation link in the email.